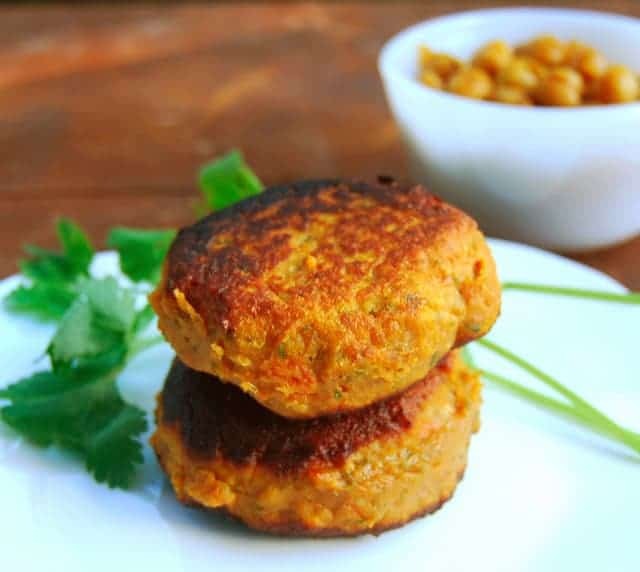 Healthy and yummy sweet potato and kale patties dunked in a chunky, spicy chickpea sauce flavored with tomatoes, turmeric, ginger and garlic. Vegan, gluten-free, soy-free, nut-free. Before I dive into today’s recipe, a quick word about Diwali which is right around the corner (this weekend, in fact). If you’re looking for some delicious and dairy-free sweets to make yours a little more special, don’t miss the collection of vegan Indian sweets from Holy Cow!’s archives. 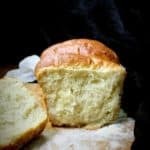 These are tried and tested recipes that I’ve made in my kitchen for years now and trust me, no one ever misses the dairy. 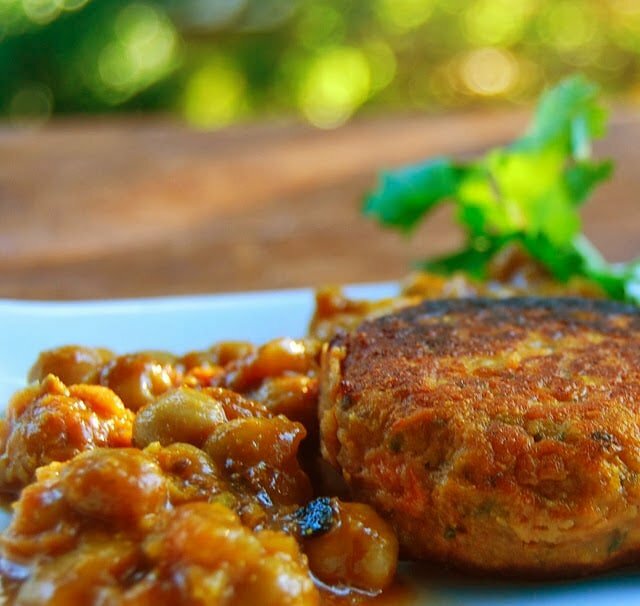 And now, here’s the story behind these Sweet Potato and Kale Patties in a Spicy Chickpea Sauce that I have cooked up for you today. 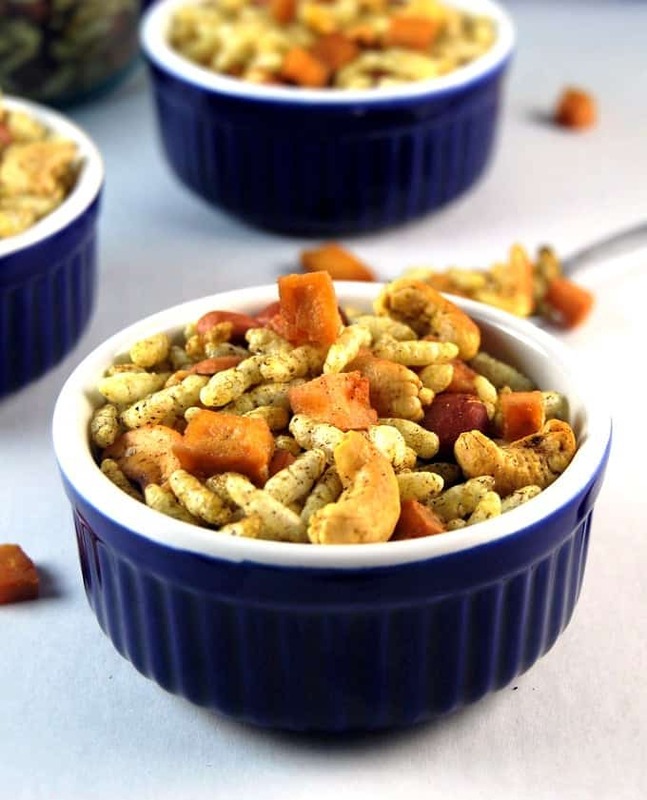 I am a huge– HUGE– fan of Ragda Pattice, that incredible snack food straight from the streets of my colorful hometown of Mumbai. 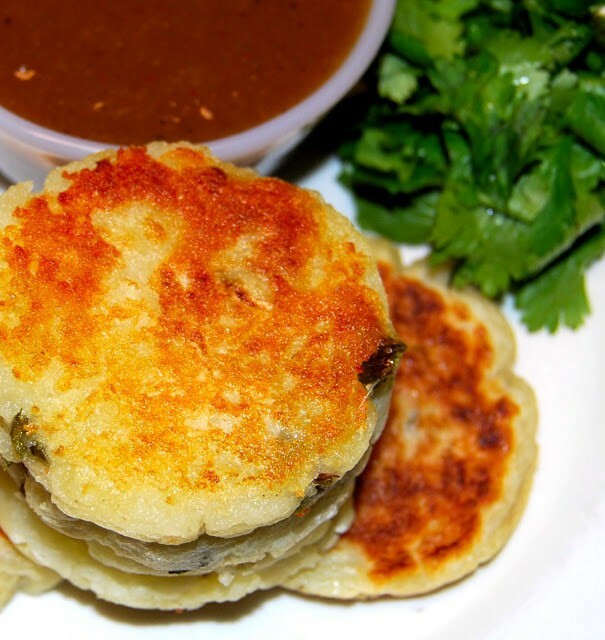 You can find my recipe for Ragda Pattice here but to sum up briefly, these are gorgeously golden patties made of mashed potatoes that are served up in a white-pea sauce with all sorts of garnishes, including onions, coriander leaves, sev, and whatnot. 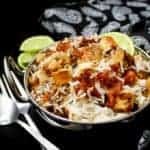 Ragda Pattice is a reasonably healthy dish– and oh, how I wish I could eat potatoes for every meal– but I wanted to make a healthier version that I could eat without a care in the world. That’s when I thought up my Sweet Potato and Kale Patties in a Spicy Chickpea Sauce. 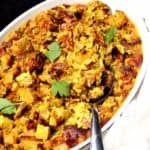 As is obvious, I subbed the potatoes in this recipe with sweet potatoes which are less starchy and far more nutritious. To add to the healthfulness I threw in handfuls of kale. 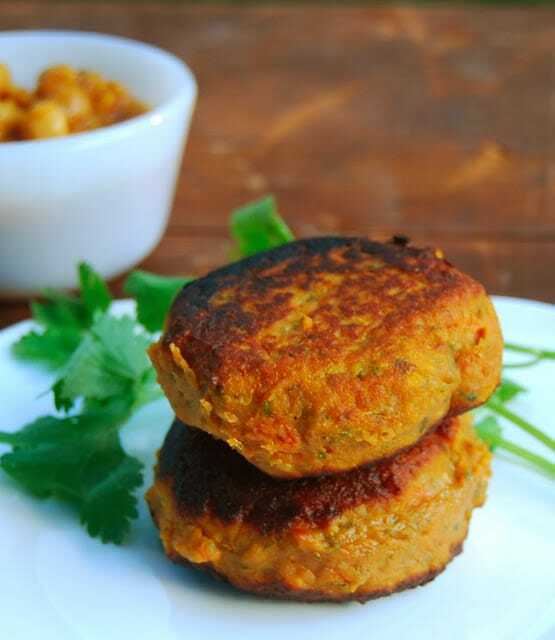 And then, to accompany these patties, I made a spicy chickpea sauce. The hot and sour sauce is just perfect with the sweet potatoes and the slightly bitter kale. Talk of yin and yang. 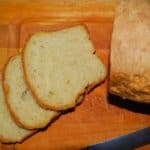 This is a terrifically healthy recipe with tons of protein, fiber, Vitamins A and C, and a lot more per serving. 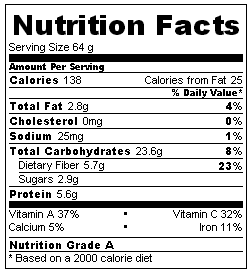 Don’t forget to look at the nutrition labels after each recipe and you’ll be doing cartwheels, like I did. Enjoy! 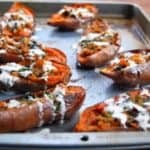 2 large sweet potatoes, roasted in a 350-degree F oven until a knife pierced in the center goes cleanly through without any resistance.It took about an hour in my oven. Peel the sweet potatoes, discard the skins, and mash the flesh. You should have approximately two cups. Chop the kale and coriander in a food processor along with some salt. Let it stand about 15 minutes, then squeeze out any excess water. Mix the kale and coriander with the mashed sweet potatoes, ginger, garam masala, salt as needed, and cayenne. Add the chickpea flour, 1/4 cup at a time, until the sweet potato mixture is firm enough to form patties. It will still be pretty soft, but it’s ready when a ball formed by rolling the mixture between your palms remains firm. 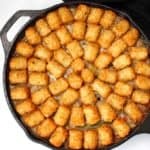 Heat the oil in a non-stick or cast-iron skillet. To form the patties, divide the mixture into 12 portions. Wet the palms of your hands with some water and shape each portion into a flat, round patty about 2 inches across. Drop each patty, right after you shape it, into the skillet. Cook each side until golden-brown, on medium heat. Do not crowd the pan. You might have to do this in batches. 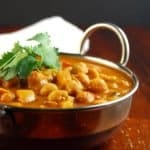 2 tsp garam masala or, if you have it, you can use chana masala. If you’re using store-bought test for heat because some store-bought masalas can be very hot. If they are, you might want to cut down on the amount of cayenne. Add the onions and saute until brown spots appear. Add the ginger and garlic and saute until the raw smell disappears. Add the tomato paste, coriander powder, cayenne and turmeric. Stir well to mix. Add a tablespoon or two of water if the mixture is too dry. 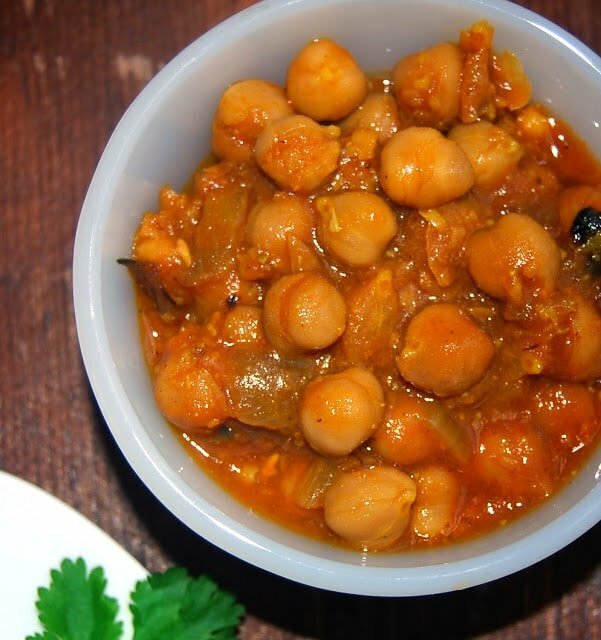 Cook the tomato paste for 2-3 minutes, then add the chickpeas with any boiling liquid or about 3 cups of water. Add salt to taste. 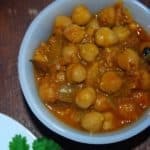 Mix well and let the chickpea sauce cook about 15 minutes or until the sauce has a fairly thick texture but it is not dry. Use a potato masher to mash some of the chickpeas. Add the garam masala and coriander leaves, stir to mix, and take off the heat. Spoon the sauce into a plate, arrange two of the patties on top, and serve hot with some chopped raw onion and sliced lemons, if desired. Beautifully done, who can resist to this wonderful patties..Healthy and delicious. Looks delicious! I am going to try these. 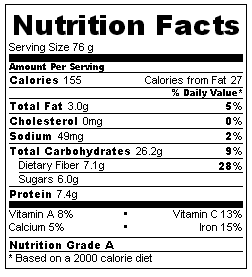 Curious — where is the nutrition label data from? Can you tell me what kind of kale to use? I was trying to decide between black kale and green kale. Use either– the type of kale you use won’t make any difference to flavor or texture. Thanks, Catherine. Hope you — and your daughter– like them! 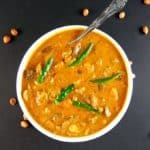 vaishali,i wrote on an old blog of yours,maybe u might not read it.so i thought i will share my thoughts here again.ur name is synonomous with one of th ebest restaurants in Pune for snacks and food in FC road.Your blogs and the pictures take me to those glorious days and I thank you for such a lovely blog.I miss all my favourite foods like ragda patties,sabudana vada,misal pav and so many more maharashtrian classics.keep on writing and making my mouth water. Yes, it won’t make a difference to the texture but it won’t taste the way it’s supposed to. Hi Vaishali! 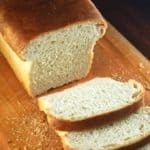 Thanks for all your recipes! I made this one but had trouble getting the patties to cook and solidify. I did use falafel mix instead of chickpea flour, but I let it sit for at least a half hour. Both sides browned but the browned regions just kind of fell off from the rest of the patty. It was definitely good but didn’t look like yours! 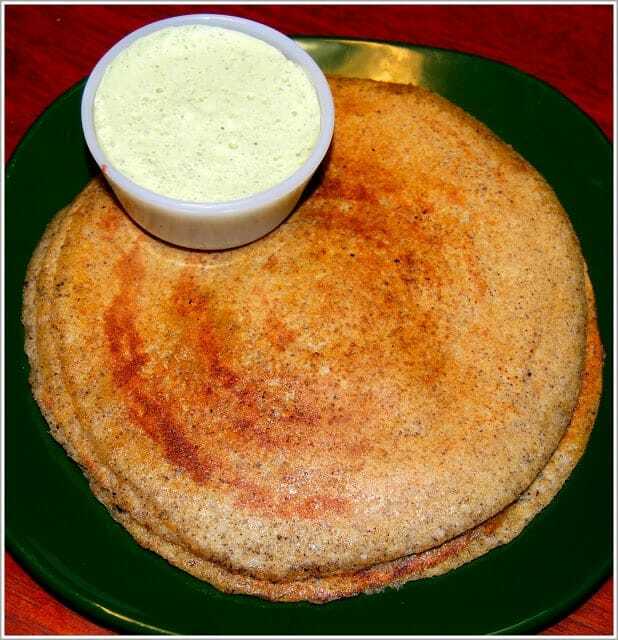 Will real chickpea flour make the difference? Oh and the chickpea sauce I now make to eat on its own or with almost anything else! Thanks again. Oh, this looks delicious! I don’t have access to chickpea flour so I was wondering if mashed chickpeas would work instead? Yep, or use rice flour if you can get that. I had one sweet potato and half a bunch of kale so I searched your recipe index for something with kale. 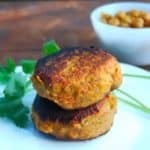 Sweet potato and kale patties with spicy chickpea sauce came up. I made it for dinner tonight (substituting white beans for the chickpeas) and cannot believe how happy my tastebuds are. It’s an amazing recipe. Delicious. Thank you. I’m going to post this to my FB page, if you don’t mind. Thanks for letting me know, Mary! So glad you liked it. Seriously scrumptious! I am loving your blog, Vaishali–thank you so much!